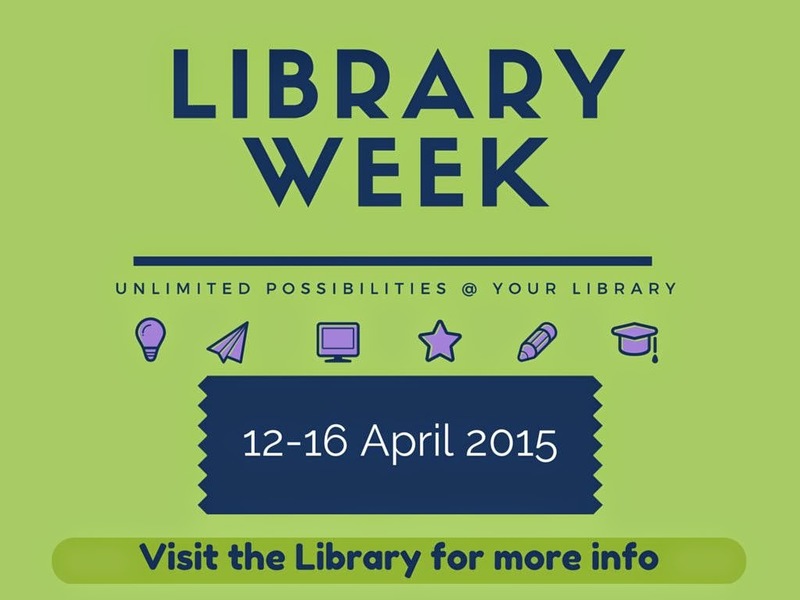 It is time for Library Week from 12 to 16 April! The theme for 2015 is "Unlimited Possibilities @ Your Library". The message is that no matter who you are, or where you come from, you can achieve great things, and the library is one of your best tools in your journey. Discover books and videos on the lives of great achievers in the Library. Try your hand at creativity by folding the perfect paper plane, and seeing if it will fly the distance. See a demonstration of an advanced camera drone flying in the Library! Start planning your photos to shoot for the launch of our Photo Contest - more info below. Check your Library for more information on activities! The computers in the Library and the Independent Learning Center (ILC) use student photographs as screensavers. This year we would like to add new photographs to these screensavers, and what better way than having the students contribute and potentially win a prize! 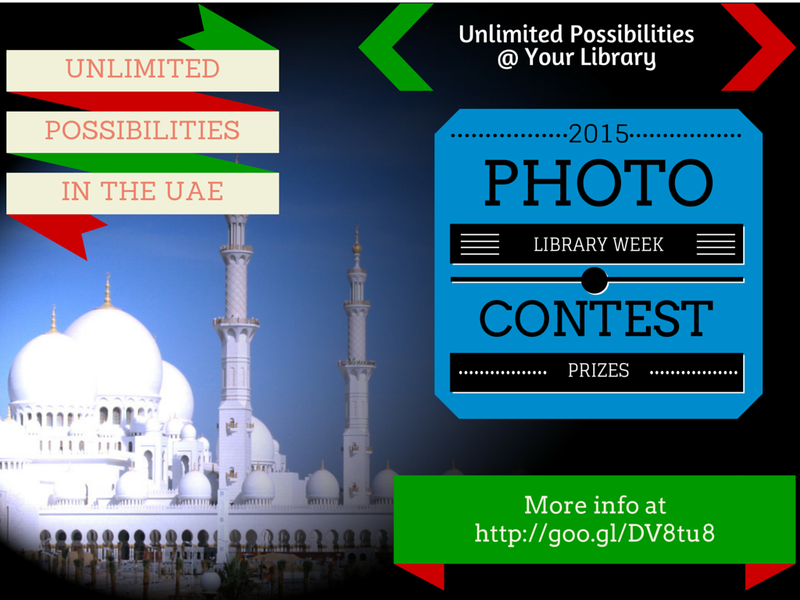 As part of Library Week, and with a theme that mirrors Library Week, namely "Unlimited Possibilities in the UAE", students are invited to submit photographs that tie into the theme, and are created within the UAE. Contact Stephen Visagie at the Reference Desk for more information and submissions, or ask any library staff member to assist.